To obtain a free library card, present picture ID and proof of your Yonkers address to the circulation desk at any of our three branches. Cards can be used throughout the Westchester Library System. Bronx residents can obtain a YPL card for use in Yonkers libraries only. A child can receive a library card when a parent or guardian brings them and shows proof of residency. Library cards need to be updated every three years. Book drops are available outside all of the Libraries when they are closed. You can check out your materials at one library in Westchester and return them to any other Westchester library. Returning materials promptly makes them available to others sooner. A Westchester County library card is needed to borrow materials. The Computer Room Centers at the Riverfront Library and Grinton I. Will Branch offer personal computers which have word processing, spreadsheet and resume-writing software. Computers are also available at the Crestwood Branch. B&W and Color printing is available in the Computer Rooms. Cost for printing is 15 cents per page in B&W and 50 cents per page in Color. There is one scanner available in the computer room at the Riverfront Library and one at the Grinton I. Will Branch. Computer classes are given at all three branches. Class schedules are listed here. Copy Machines are available at all branches. The fee is 15 cents per black and white copy. Color copies are 50 cents and are available at Riverfront and Will libraries. All machines accepts coins and bills up to 1 dollar. Riverfront Library accepts your book, CD, DVD, and video game donations! All donations become the property of Riverfront Library. Donors may not specify the use to which donations are put. Riverfront Library does not purchase private collections. We DO NOT accept donations of magazines, textbooks, encyclopedias, cassettes, records, or books in poor condition. Homework Helper program provides homework assistance to school children in grades 1-7 during after school hours at the Riverfront Library, Will & Crestwood Branches. During the school year, Mondays – Wednesdays 4:30-6:30 pm, Thursdays 4:30-6 pm in the Arts & Crafts Room. During the school year, Mondays – Wednesdays 4-6 pm, Thursdays 4-5:30 pm in the Projection Room. During the school year, Mondays – Thursdays, 3:30-5 pm in the Children’s Room. Internet access is available at all branches of the Yonkers Public Library. With your library card’s barcode number, you have remote access at home to extensive reference databases which provide articles from hundreds of magazines, and abstracts from many more publications. The Yonkers Public Library offers free wireless internet service in all its three branches. Simply start your device, choose the library network (YPL Riverfront Library for Riverfront, YPL Will Library for Grinton I. Will, YPL Crestwood Library for Crestwood), and then launch your web browser which will take you to rules and regulations page that you must accept. Once you click on that, your computer’s home page will appear. Wi-Fi access in the Riverfront Library and Crestwood Library is available throughout the buildings. In the Will Library it is available in the Main Reading Room area and Young Adult/Fine Arts area. 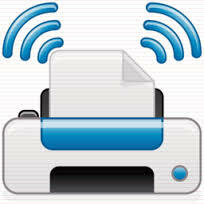 Access our wireless printing page. The Kurzweil Reading Machine, located on the 3rd floor, at the Riverfront Branch scans printed materials and reads them aloud, a service for those who are blind or have low vision. The library provides study rooms for public use. Study rooms are available on a first-come, first-served basis. There are no advanced reservations. Patrons must sign up for use of the room at the reference desk at the time they want to use it. Patrons can use the rooms for 2 hours at a time, and longer if there is no wait. There is a 6 person maximum occupancy per room. Tours can be arranged for individuals and groups to learn about library materials and services. Please call (914) 337-1500 for more information. The Yonkers Riverfront Library has a typewriter on the 4th floor to use. You must supply your own paper.